Rockadrome Records, black vinyl, US Import, official reissue, poster, Highly anticipated 35th anniversary and first ever vinyl reissue of this all-time classic hard rock guitar private press record from 1982. Revival overflows with a powerful classic hard rock sound featuring the unmatched soaring vocals of bassist Doug Brown, tight, powerful hard hitting drumming from Scott Benes and the incomparable guitar wizardry of Jordan Macarus, who will leave you wondering why he isn't featured in every guitar magazine around. If you love hard rock lead guitar action like me, then do yourself a huge favor and grab this thing immediately, you absolutely will not regret it! As a classic hard progressive rock band. 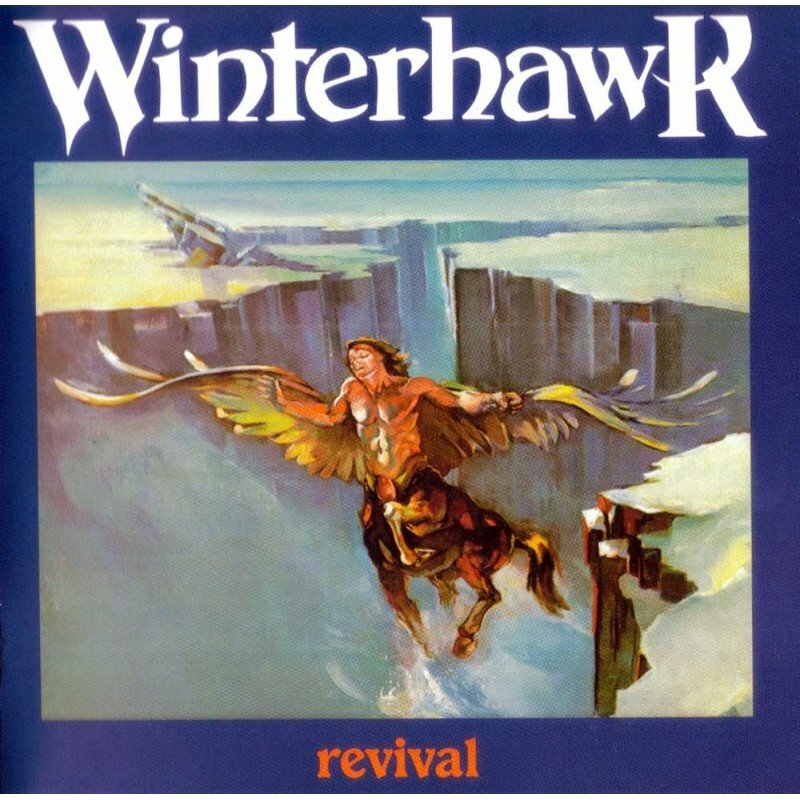 Winterhawk, thrived in Chicago?s late 70s rock scene that included groups like The Hounds, Cheap Trick, Pentwater, M&R Rush, Off Broadway, Arion, Sorcery, Medusa and many more. You could find them opening shows for acts like Budgie, Black Oak Arkansas, Steppenwolf and others. The band went through a few incarnations with different second guitarists, but was pared down to a three-piece for the Revival album which finally came together in 1982. The album was originally released in a limited edition on the band's own Lambda records and is now very collectable and sells for nearly $200 when it surfaces. Revival was first reissued on CD nearly 20 years ago and this has helped garner the band a large worldwide following, which has led to reunion concerts at festivals here in the USA and Europe, including an upcoming show in Germany at Keep It True Festival XXI. The reissue comes with full size booklet with lyrics, liner notes, interview and vintage photos plus an 11x17 poster featuring Doug Brown and Jordan Macarus.